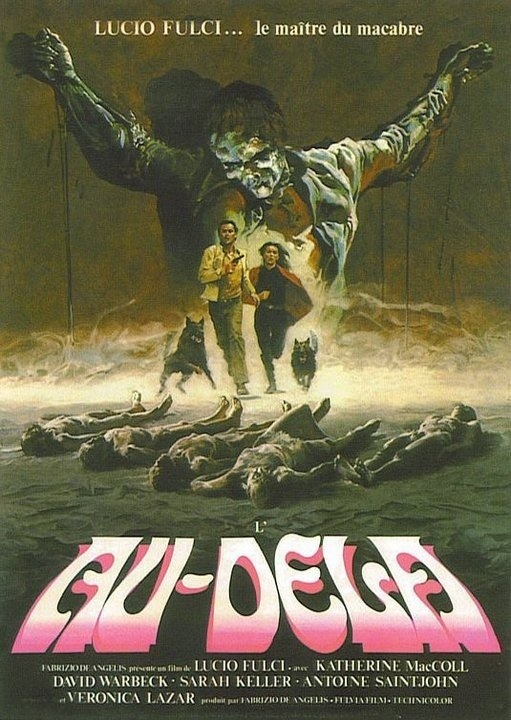 Released in 1981 The Beyond is considered by many fans to be Lucio Fulci’s masterpiece and while I get the appeal of the movie I really don’t think by any means is this Fulci’s best movie. 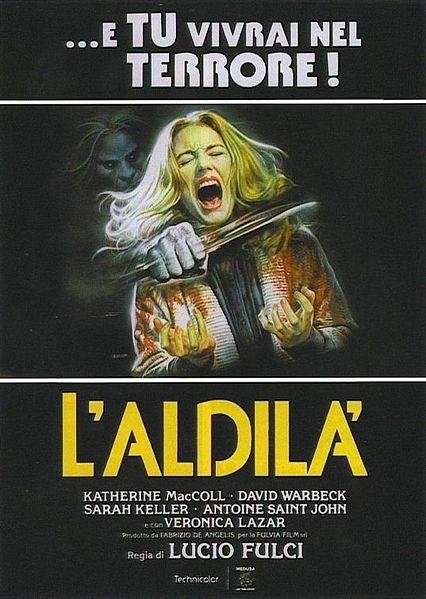 As much as I love Lucio Fulci after going back and viewing movies like Don’t Torture a Duckling and Seven Notes in Black I’ve sort of most my patience with his splatter flicks of the 80s and even though I still enjoy many of the films they don’t hold up as well with me as they once did. Even Zombi 2 is a great movie to show Fulci’s talents; it mixes his early 70s style with his splatter flicks of the 80s, but unlike his 80s work his films in the 70s were coherent. Quite honestly the only movie Fulci made in the 80s I hold in very high regard is The New York Ripper, which depending on who you ask is when the decline started, but I disagree even with the flaws Ripper at least has a mostly coherent story. 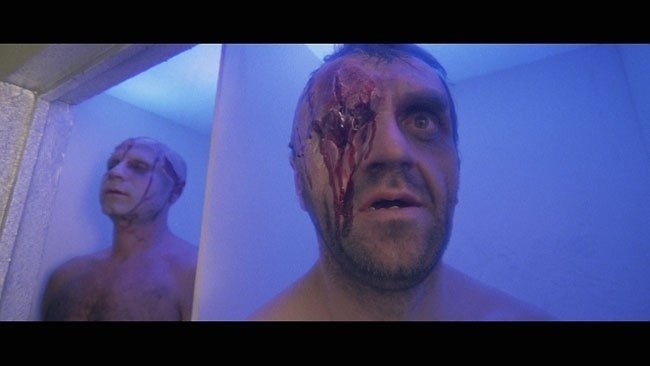 The Beyond while a very enjoyable movie is mostly incoherent and if anything the movie serves as a highlight reel for F/X artist Giannetto De Rossi and De Rossi delivers some of the best work of his career. While most will mention Tom Savini and with very good reason I often felt De Rossi was just as good if not better. 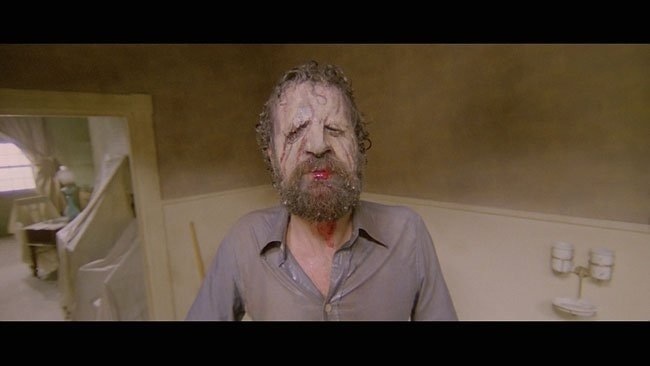 The legend of The Beyond really does stem from the gore F/X and while again they are truly amazing it also bothers me that Fulci’s story driven efforts are largely ignored in favor of his splatter flicks. Some people dismiss Fulci as nothing more than a gore directing hack, but I urge people to seek out films like Don’t Torture a Duckling that showcase what a talented filmmaker he was and while that movie had some gore scenes it didn’t rely on them like his work in the 80s. 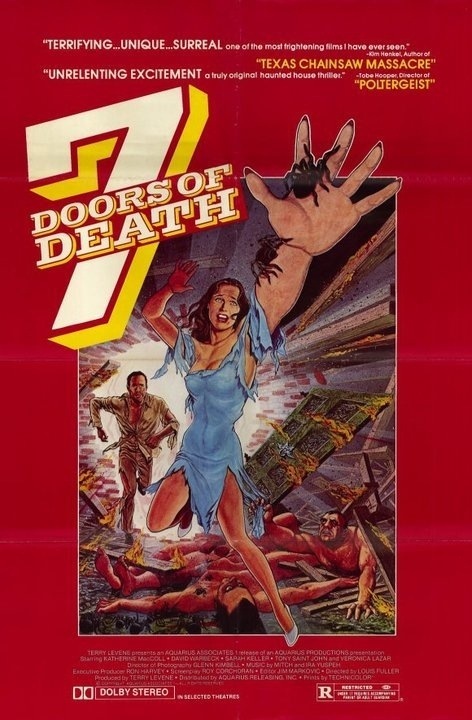 The screenplay by Dardano Sacchetti, Giorgio Mariuzzo & Lucio Fulci is quite weak and it’s kind of amazing it took 3 people to write this seeing as there isn’t much of a story. 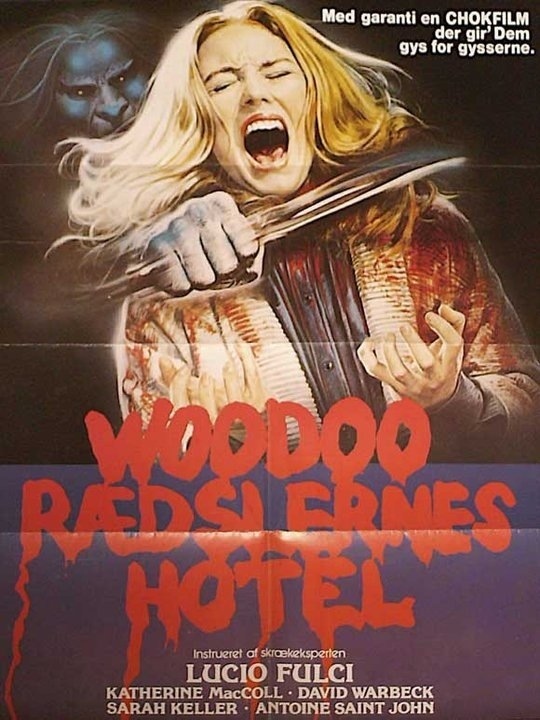 The plot of the movie isn’t bad; Liza (MacColl) inherits a hotel in Louisiana and is planning on fixing it up, but she’s unaware it’s built on top one of the gateways to hell; again the idea isn’t bad by any means, but nothing is really explained in much detail and while I wouldn’t say the movie was confusing, but it was incoherent as things happen and we get very little information on why. 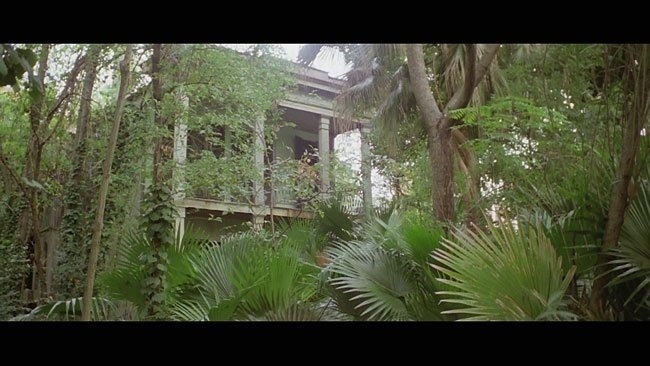 Much like the previous year with City of the Living Dead, which The Beyond is a sequel of sorts nothing gets explained, but this movie isn’t nearly as creepy. If this was the typical zombies coming back to life movie I wouldn’t have any complaints about the lack of plot, but this one attempts to be a little more and thus the total lack of explanation really hinders the movie. People might find it silly to complain about the shortcomings of the script and will cite a movie like say Friday the 13th, but the differences are one has a very simple story the other has weird random things happening. The characters lack any depth and some of the characters serve no real point and losing them wouldn’t impact the movie at all. I liked Liza and even John McCabe (Warbeck), but neither character can really carry the movie for too long and with that said McCabe just be one of the dumbest characters I’ve ever seen; during the final act he’ll shoot a zombie in the body and it keeps coming and then he’ll deliver a head shot, which kills the zombie and he does this for a while and suddenly for some reason goes back to only body shots. 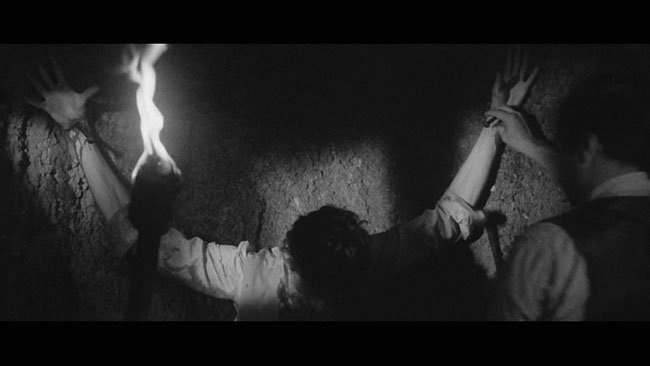 A lot of times characters in horror movies often do stupid things, but this was just insulting at times. Overall the script though again does have some nice ideas and despite the development McCabe & Liza were likeable, but due to the lack of explanation it does sink the movie at certain times. As director Lucio Fulci is able to put together some nice scenes of suspense and tension and does create a decent since of atmosphere and the gore scenes are as mentioned a highlight as we get eyes being ripped out, a face melted by acid, and a throat ripping just some of the highlights. But the longer we go without any action the pacing can begin to suffer and while Fulci mostly manages to keep things interesting the lack of plot and character development does hinder things since neither can carry the story for too long. 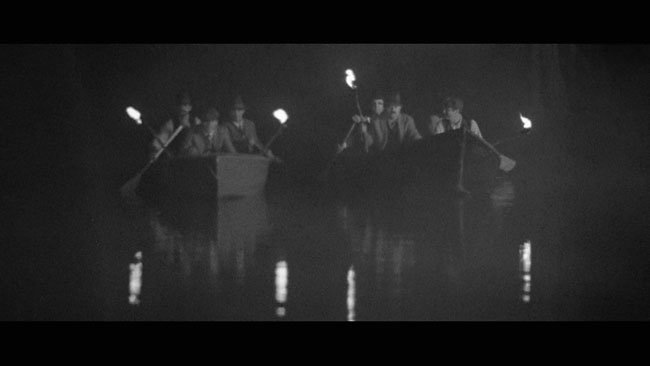 These are the same problems I had with City of the Living Dead, but with that movie Fulci created a great feel of dread and atmosphere and The Beyond has those elements, but they aren’t as strong. Most of my review might come across as negative and I don’t wanna give the wrong impression; I very much enjoyed the movie and had a lot of fun watching it, but I just don’t get how people can hail this as Fulci’s best flick if not simply for the gore. Fulci does a nice job with The Beyond, but like I said things can get a bit sluggish when there isn’t any gore scenes, but in general Fulci is able to create some decent atmosphere and a movie that looks very good from a visual aspect. 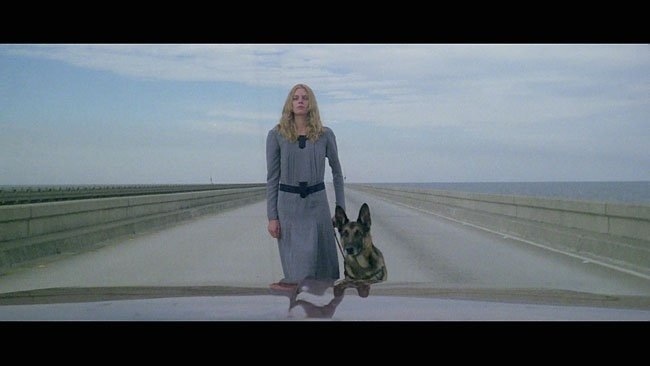 The Beyond is a very solid movie in Lucio Fulci’s career, but not his best effort in my opinion. 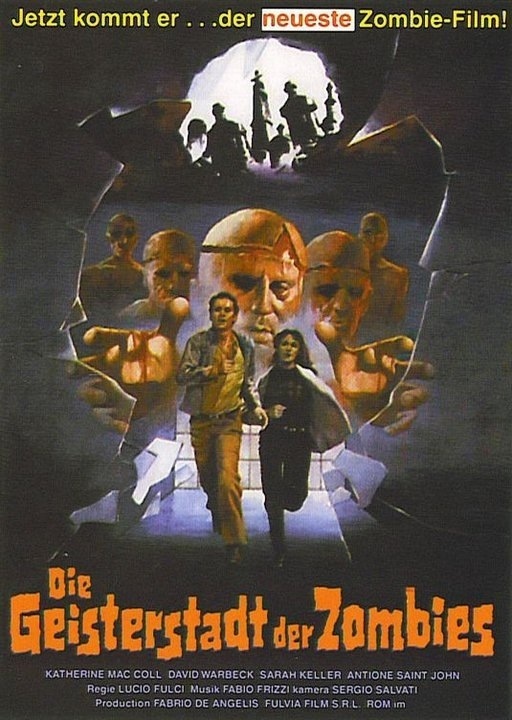 The casting is strong and fans of Euro cinema will recognize many of the actors; this was Fulci’s 2nd of 3 movies with Katherine MacColl (the first being City of the Living Dead & House by the Cemetery being the last). Antoine Saint-John of the Killer Must Kill Again appears as does Fulci regular Al Cliver and Cinzia Monreale from Joe D’Amato’s Beyond the Darkness under the name Sarah Keller. Overall The Beyond despite its flaws does make for a great time and the pacing is mostly strong with a full lulls, but this one is insanely gory and that does in part make up for some of the flaws. If you’re looking for gore Fulci delivers that in spades. 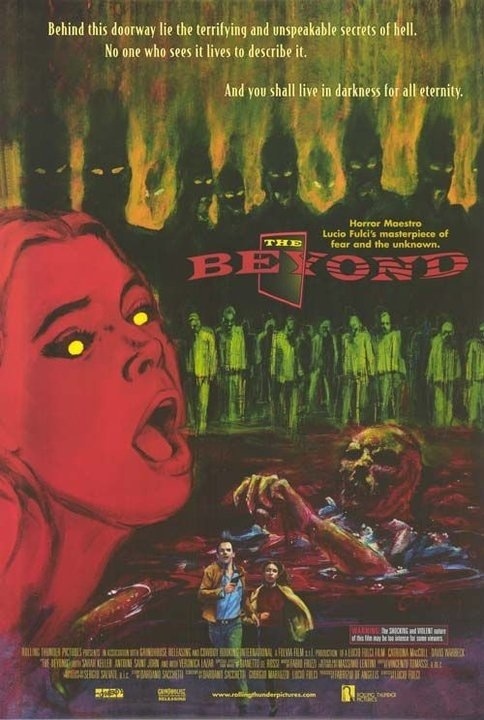 Even though this wouldn’t rate in my top 3 Fulci movies The Beyond is a lot of fun despite how incoherent the movie was.